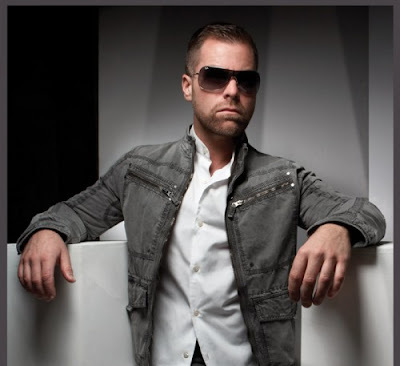 Brian Kent has scored several national and international hits on global Dance Club Play charts, including his recent hit, “I’ll Find A Way” which has hit Top 20 on the UK Music Week Club Chart and several DMC World Charts including the World, World House, World Commercial, World UK and World UK Club Charts. The single features remixes by Loverush UK!, Sted-E & Hybrid Heights, Twisted Dee, DeMarko, Radboy and more. It also features a music video co-conceived and directed by Loic Maes (Infernal) that has made an international impact on the topic of bullying and self-awareness. In 2009, the singer/songwriter’s “Whatcha Doin’ To Me,” hit Top 40 Billboard Club Play Charts and also reached #1 on Sirius Satellite Radio’s Hot 20 Chart. In addition, the single topped countless record pool DJ charts across the USA and is again supported by a music video co-conceived and directed by Loic Maes. Kent’s latest EP will launch in Fall 2011 previewed by the new single “I’ll Find A Way.” The project will be produced and co-written by Jack D. Elliot who’s had several #1 Billboard hits with such artists as Britney Spears, NSync, Backstreet Boys, Taylor Dayne and has most recently collaborated with Grammy Award winning songwriter Diane Warren. With years in entertainment, touring as part of a company or backing up vocalists like Kristine W., Kent decided to focus on his love of songwriting and performing and has brought his own solo talent to life in his full length debut album “Breathe Life” released in 2008 and distributed by Centaur Entertainment. With several hits coming from this debut studio album of original material including “I’m Not Crazy”, “Breathe Life”, “Whatcha Doin To Me”, “Drive” (#1 Sirius Satellite Radio Hit), and “Don’t Stop Believin” many were found featured on such projects as Bravo’s “Project Runway,” Regent Releasing’s “Kiss The Bride” starring Tori Spelling, and other feature films including “Bear City”, “Four Letter Word” and “Violet Tendencies”. The album contains a collection of songs that take one on a high-energy, emotional voyage expressed in radio-ready and club-friendly tracks. These tracks literally pulsate with Brian Kent's signature charisma, passion and emotionality. Brian has succeeded in creating a major buzz across the nation these past few years to build up to the present. His music videos for “Breathe Life”, “Whatcha Doin’ To Me” and “I'm Not Crazy”, spread quickly to dance clubs, video bars and lounges across the globe through Promo Only, Rock America, HBO Zone, MTV.com, VH1.com, here! TV Networks and Screenplay. These videos spent weeks on the Top 10 countdown show The Click List on LOGO causing Brian to be voted one of the Top Artists of The Year on their end of the year special. This allowed Brian to make a name for himself internationally and tour the world, opening for such artists as Taylor Dayne, Kristine W., Crystal Waters, and Martha Wash. Kent’s evolution across multiple genres has earned him the 2009 OutMusic Award for Best Dance Song and multiple nominations for the 2010 OutMusic Awards to be held in Spring 2011. Evidence of his continued evolution as a versatile artist shows in his continued ability to cross lines and bridge gaps between all types of people through his music (Facebook).